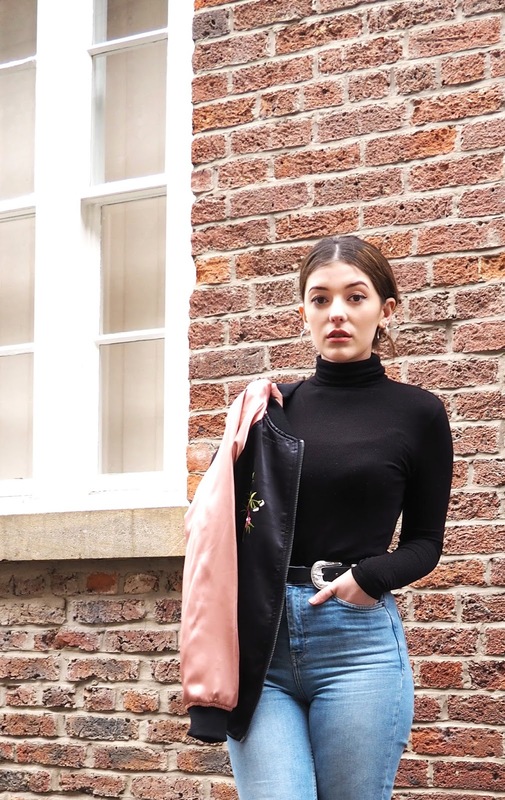 I'll be the first to admit - I am a jacket fiend. 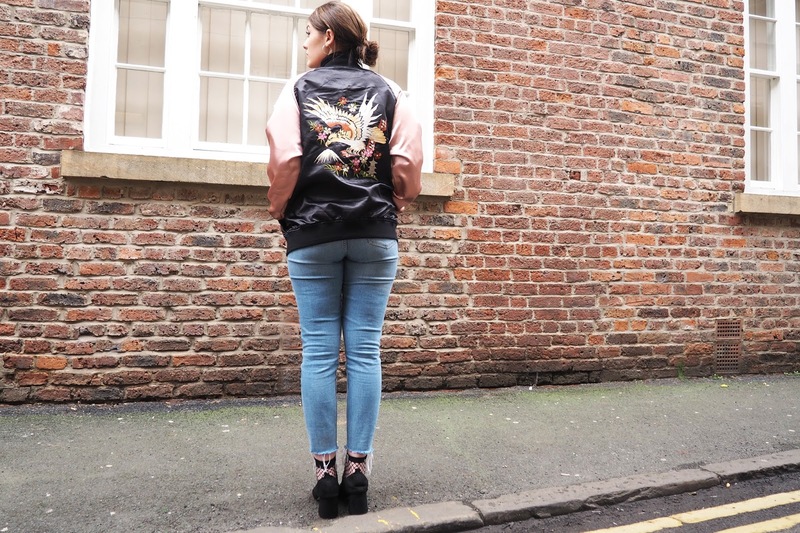 My wardrobe is now approximately 97% jackets/coats (excluding shoes, obvs). 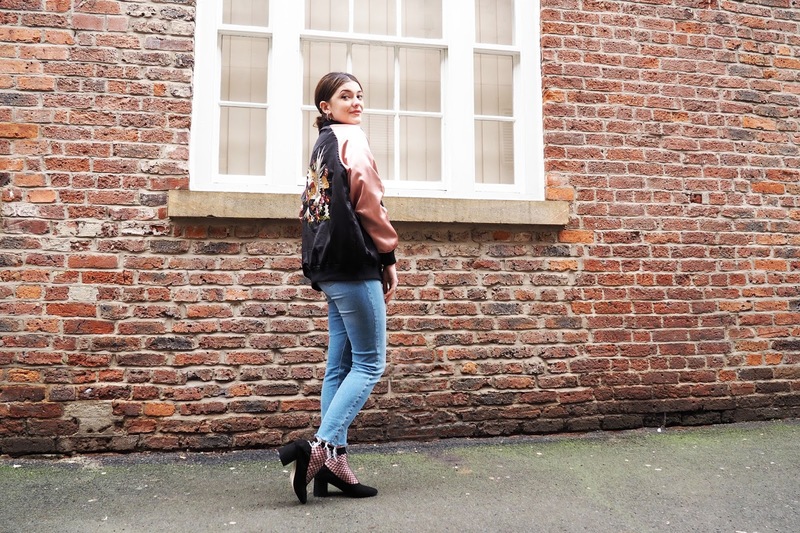 After being a little dubious about bomber jackets in the past, I can now say with total faith that I am a true bomber jacket obsessive. This is now my fourth addition since 2016 started, and the second of which includes embroidery smothered over the front and back. Because one totally wasn't enough. 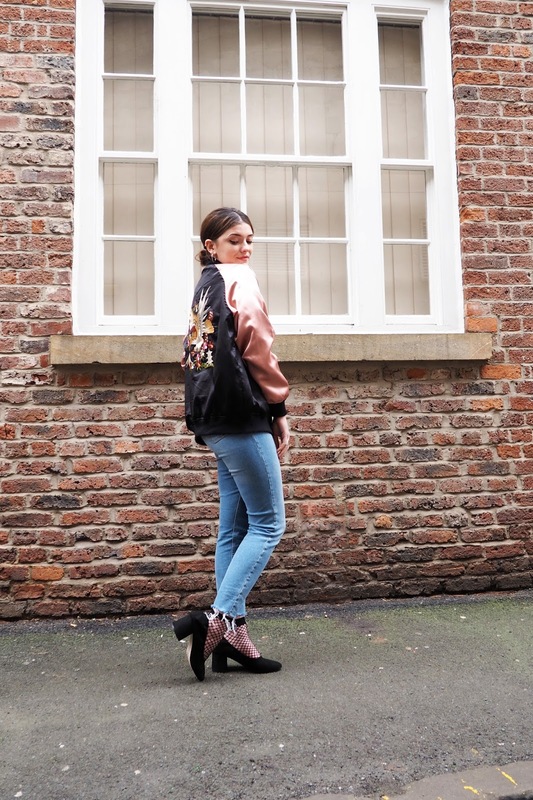 What drew me to this bomber in particular was the ironically feminine side, which isn't a term usually associated with bombers (think more 70s skinhead). Everything about it is simply stunning, from the pink sleeves, silky fabric and exquisite detail in the embroidery. But, being me, I couldn't go all-out girly, oh no, so in comes the frayed hems and fishnet socks. I love the socks and shoe combo, I think some cute socks can make an outfit so much more interesting! Yes! I love a good sock and shoe combo to add a little sass to my outfits! 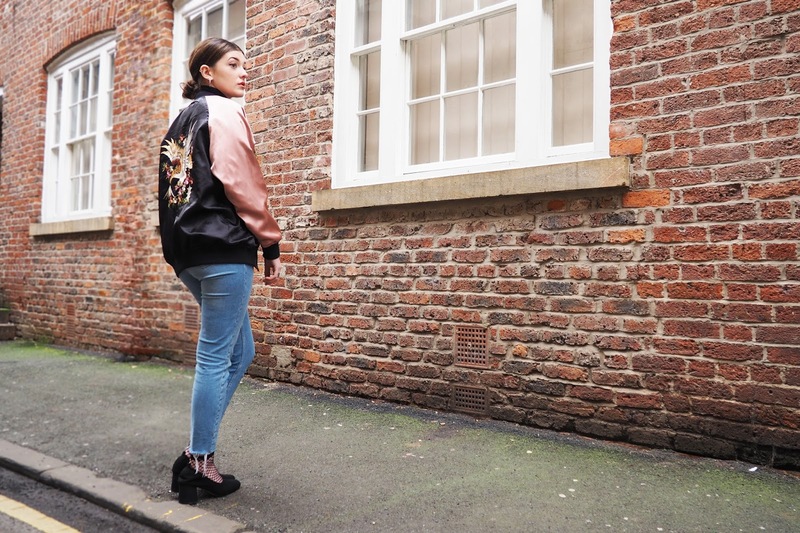 Aww you managed to put your hands on this incredible bomber jacket ! It is stunning and I also really like your shoes ! It was a bit of a struggle but I finally got my hands on it! I love it! Haha, it still brings a tear to my eye whenever I see it hanging in my wardrobe! The résille socks and the shoes...PERFECT! I ordered last week these socks too! Cute little détail killing everything, yeah! It's by far my favourite combination! They make such a statement in any outfit. This trophy jacket is such a nice touch ! You rocked this look. Isn't it! Thank you dear.